He was a simple labourer from a poor neighbourhood in South Tehran, who spent his earnings by looking after his elderly ill mother. Most of his wages would be spent on buying medicine for her. 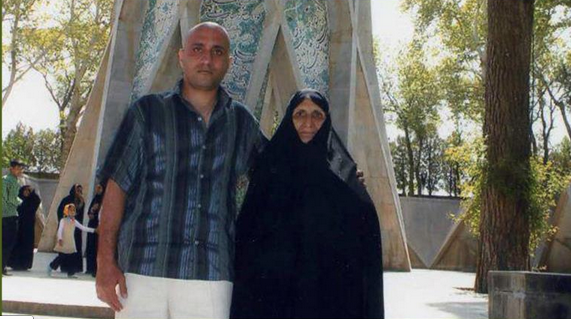 Sattar Beheshti also loved his country and he was enraged by the injustices he saw around him. In his blog, My Life for My Iran, he questioned why Iran's wealth and resources should be spent for the Hezbollah in Lebanon? He juxtaposed the pictures of Lebanese party goers and the desperate poverty of Iranians living in a rich country full of natural wealth and resources on his blog. On his last post he reported how Islamic Republic's security forces had been threatening him. "As an Iranian I say, I can not remain silent in the face of so much sorrow, you are destroying the country, I will not remain silent even at the moment of my death, stop this tyranny and we will then close our mouth"
Cellmates at Evin prison, section 350, reported he was badly hurt after one of his interrogations. "His body looked like he was crushed". Nine days later after his arrest, his brother-in-law received a phone call "Go and buy a grave and receive his body. Prepare his mother for the news". The family has been devastated since, only nine days after security forces had burst into Sattar's home and ignored his mother's please to at least give Sattar time to put his shoes on, the family were faced with this menacing phone call. In their desperation, all the family could do was to tell the opposition media outside Iran and the news spread quickly across the cyber space which prompted another call to the family, mixed in with the usual cocktail of insults and profanities, Sattar's sister was told "Why did you talk to anyone? Why did you say he is dead? he is on hunger strike, but he will wish he is dead soon"
As at the time of writing this post, it is still not certain if Sattar is dead. His family have still not been able to see Sattar's body, but have been told that he is already buried. Such is the cruel games the Islamic Republic play. They are not happy with just killing and torturing a dissident, they want to torture his family too. New Icon for Western "Progressives"
Is the German Ambassador in Iran for Real?